On 12-22-2016, the North Branch Bakery located on Huron Street in the Village of North Branch reported to Lapeer County Sheriff’s Deputies that the business was broken into sometime during the night. Entry was forced with minimum damage to a door. On 12-27-2016, the North Branch Bakery reported to Lapeer County Sheriff’s Deputies that the business was broken into a second time during the night. Entry was forced with minimum damage. Only limited items were stolen during both of these burglaries. On 01-04-2017, Dynamics Dance Studio on Huron Street in North Branch reported a burglary. Dynamics Dance Studio and North Branch Bakery are located within the same block. Entry was forced with minimum damage to a door. There was more activity inside the building from the responsible parties including spray paint damage and consumption of food items. Lapeer County Sheriff’s Deputies were aggressively pursuing leads over the course of several days. Numerous people were contacted and eventually eliminated for various reasons. There was discussion between Lapeer County Deputies and North Branch Bakery regarding posting a social media to hopefully develop the vital information needed to resolve these crimes. On Monday 01-09-2017, North Branch Bakery posted on Facebook that they were offering a donut reward for information. Regional and local news media further publicized. On Monday 01-09-2017 around 5:20 PM, a significant development occurred. North Branch Bakery was contacted via social media and also visited in person by a local teenage juvenile who had information regarding the burglaries. An item of stolen property was returned to North Branch Bakery. 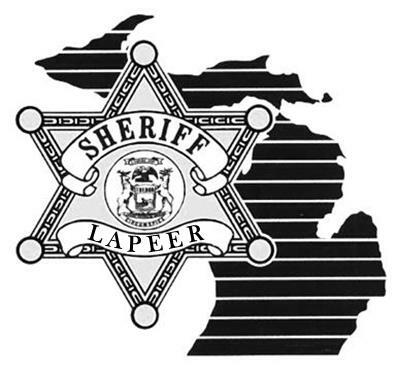 Lapeer County Sheriff’s Deputies immediately followed up on this significant development. On Tuesday 01-10-2017, a search warrant was executed in the Village of North Branch. Another teenage juvenile was taken into custody and more stolen property was recovered that was owned by North Branch Bakery and Dynamics Dance Studio. Deputies were able to recover the higher monetary valued stolen items (electronics, safe, cash, and play props) from both businesses. The teenage juvenile taken into custody on 01-10-2017 was later released to a parent while the investigation continues and case presentation to the Lapeer County Prosecutor’s Office for formal criminal charges. The information and facts at this time suggest that all parties involved have been identified. These burglaries were occurring during the early morning hours while the business were closed. The names will not be released (juveniles and pending issuance of criminal charges). Unfortunately, further details can’t be released at this time to protect the integrity of an on-going investigation with anticipated prosecution resulting. It is very pleasing that some closure has occurred for the victims (North Branch Bakery and Dynamics Dance Studio) by identifying the responsible parties and reuniting them with property that was stolen. Furthermore, safety and security can be restored for the Village of North Branch community. Anyone with information is requested to contact Sgt. Matt Blair (810-245-2390 or mblair@lapeercounty.org) or Detective Sgt. Jason Parks (810-656-1015 or jparks@lapeercounty.org).